The research, published in the journal Nature Ecology & Evolution, sheds new light on the evolution of animal groups that organize and hunt together. "Consider the coordinated attacks of prides of lions or wolves, or the dazzling swirling behaviour of starlings or schools of sardines," says Jonathan Pruitt, an evolutionary biologist and Canada 150 Chair in the McMaster's Department of Psychology, Neuroscience & Behaviour. "These societies are able to organize and execute strategies that cannot be produced by single individuals. We wanted to see if the collective traits that enable success might depend on the traits of neighboring groups." 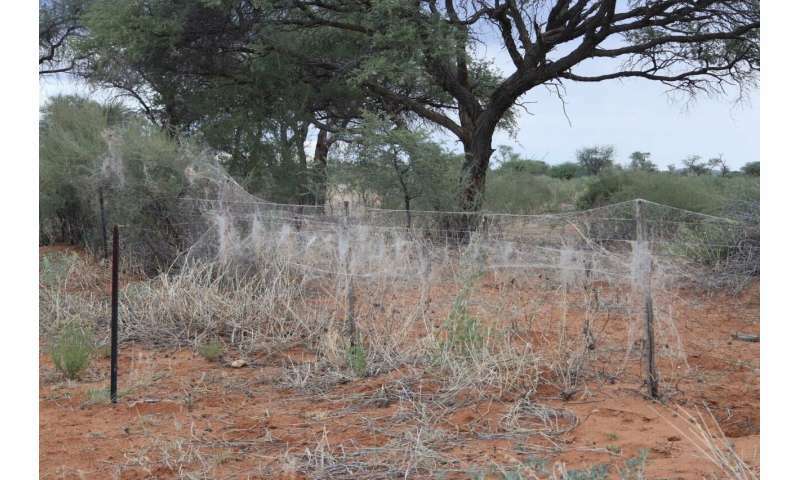 Researchers set out to better understand successful collective hunting practices by studying the African social spider Stegodyphus dumicola (S. dumicola). While colonies of S. dumicola do not compete with one another face to face, a single plant may be home to several colonies, resulting in increased competition for flying prey. 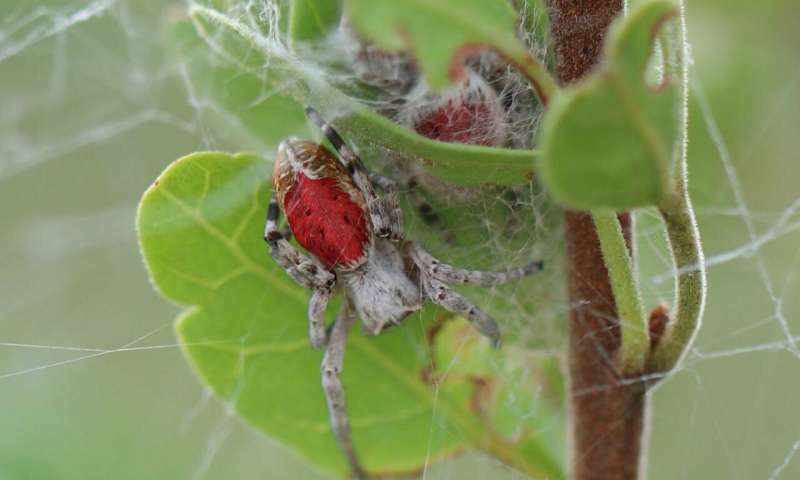 Pruitt and his team travelled to two sites in southern Africa and created 'neighourhoods' or clusters of competing spider colonies with very different foraging strategies: some colonies were dominated by docile hunting societies while others were dominated by aggressive societies. After comparing the aggressive and docile societies, researchers learned that whichever strategy was in the minority performed the best. When aggressive societies dominated the landscape, they overexploited resources fueling an even greater need for prey to maintain their aggressive societal engines. In these conditions, docile societies flourished because they can subsist on less and outlasted their aggressive rivals. When docile societies dominated, researchers were surprised to discover there was no relationship between resource intake and reproductive success, suggesting they operate well even with extremely low resources. "The key here is there is a trade-off between the ability to domineer and monopolize resources from rivals and the ability to live off of little," says Pruitt. "No single strategy ever completely annihilates the opposing strategy, which is why we see various kinds of societal traits maintained through evolutionary time." 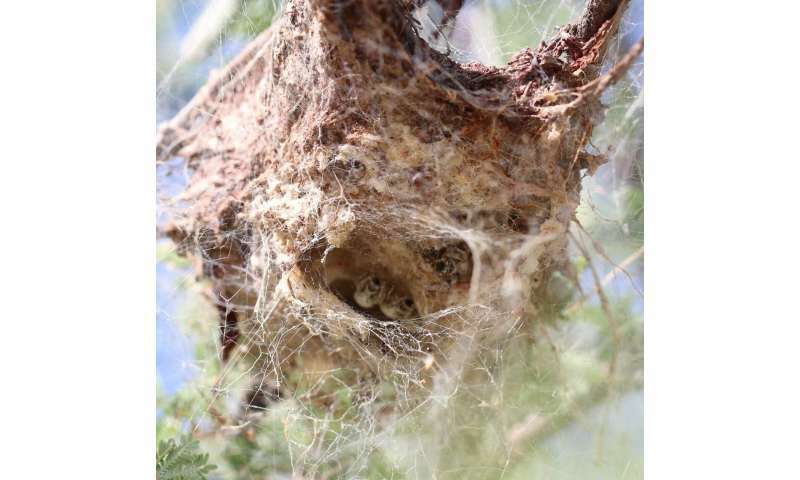 The researchers are now working in Namibia to study colonies from neighbourhoods which vary in size and density.